Ahmed started taking drugs when he was twelve. His father wanted him to work as a labourer to earn money for his family of 8 – 4 brothers and 2 sisters. Life was difficult for Ahmed, as he had high hopes of becoming a doctor and wanted to go to school. He couldn’t bear the hard work and began to try cannabis offered to him by his friends. His father put him in a Madrassah but instead of concentrating on studies, he started hanging out with friends who got him started on heroin injections, and before he knew it he was totally dependent on this harmful substance. He soon ran away from home and began living on the street. 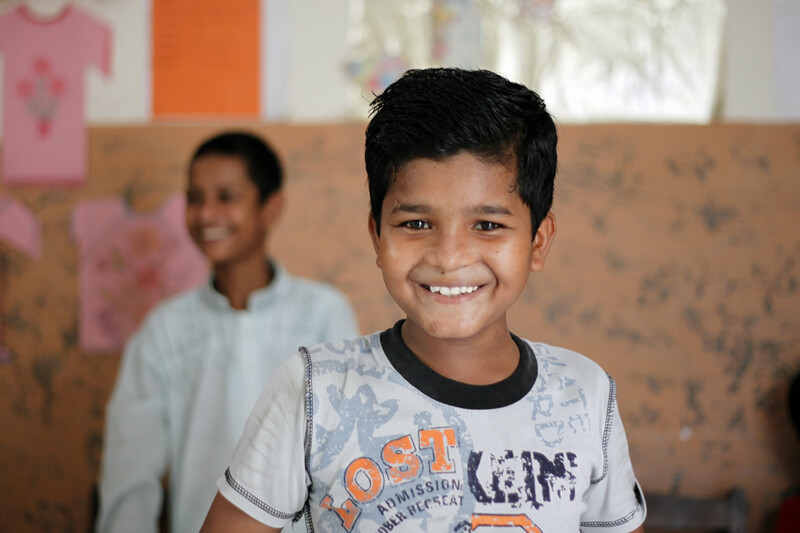 Life on the streets is unpredictable and harsh for boys like Ahmed. He soon reached a breaking point and couldn’t fend for himself anymore. At some point he realized that there was something going wrong in his life. Now all that he existed for was drugs, and he remembered his parents’ warnings, yet there was little he could do about it. He wanted to go back home, but in the state that he was, he was afraid to show up. After many painful encounters, on the street, Ahmed returned to his family in a miserable state. He recalls his mother cried a lot, but that gave him the determination to reform himself. His mother accompanied him to AAS Primary Children’s Unit, where he is now on the road to recovery. Ahmed reflects on his painful drug withdrawals – it was excruciating and he craved drugs so much that he often thought of running away. He only managed to get through due to the comfort and encouragement of the House Mother.